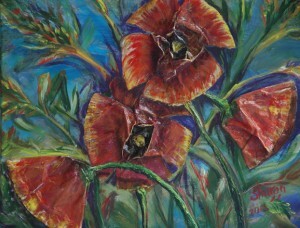 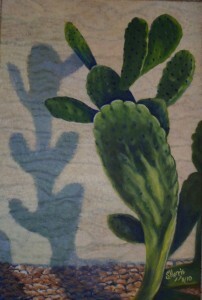 Nopales depicts a cactus in my garden one sunny day. 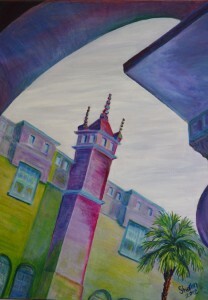 Acrylic, Size 20″w x 30″ h. $430.00, plus pack/ship/handle. 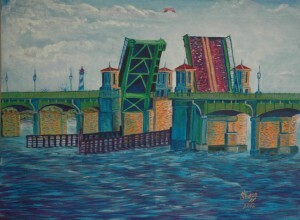 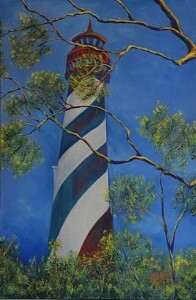 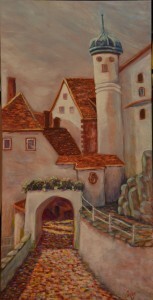 Lions Gate Bridge, Morning, St. Augustine, Acrylic, Size 30″w x 28″ h, $600.00, plus pack/ship/handle. 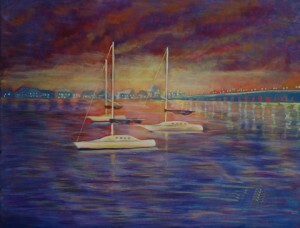 Sunrise Over St Augustine depicts sailboats anchored in the bay with Lion’s Gate Bridge to the south. 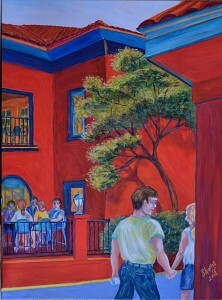 Acrylic, Size 30″w x 24″ h, $520.00; plus pack/ship/handle. 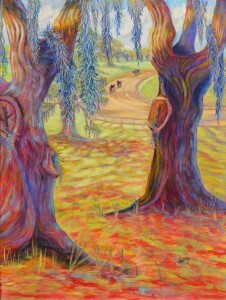 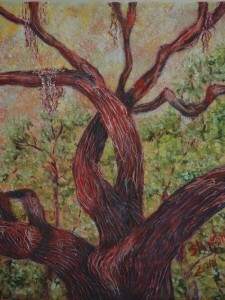 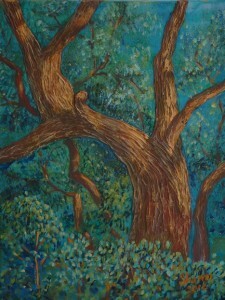 A Knot in A Live Oak, acrylic gel gives depth in depicting a tree on Antioch Lane, Lecanto, Fla, Size 16″w x 20″ h, $230.00, plua pack/ship/handle. 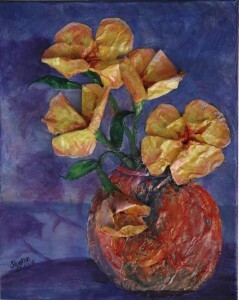 Spring Flowers, A collage of acrylic skins and used coffee filters give depth to this subject, Size 16″w x 20″ h, $230, plus pack/ship/handle. 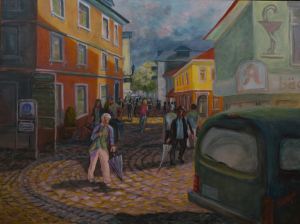 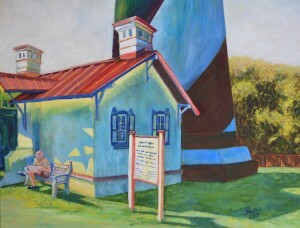 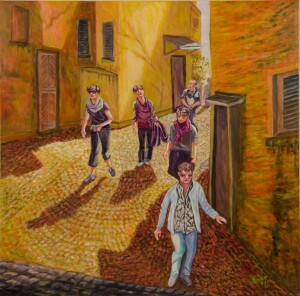 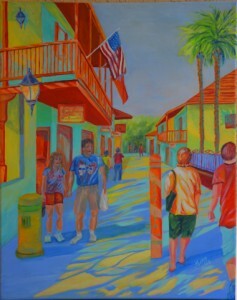 Ice Cream Break At Mullet Beach Gallery, St Augustine, Acrylic, Size 24″w x 30″ h, RIGHT SIDE CORNER ART with Tourists, $520.00, plus pack/ship/handle. 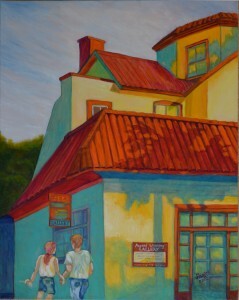 Tourists At Mullet Beach Gallery, St Augustine Acrylic, Size 24″w x 30″ h, LEFT SIDE CORNER ART with Ice Cream Break, $520.00, plus pack/ship/handle. 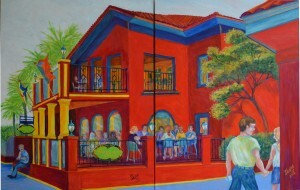 Meehans Pub, St Augustine Dyptich. 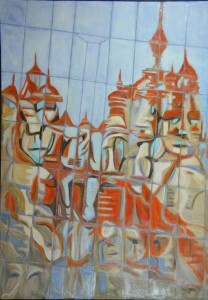 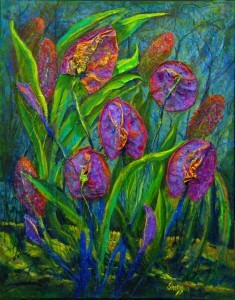 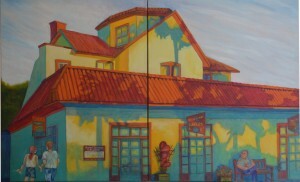 Acrylic, Dyptich Size 48″w x 30″ h, shown on a flat surface–to be hung in a corner, $1,100.00,plus pack/ship/handle. 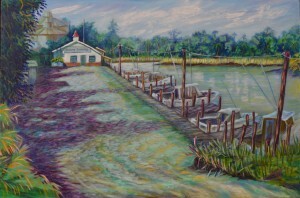 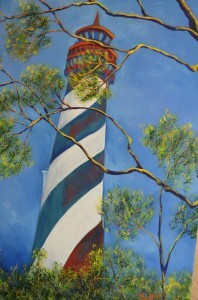 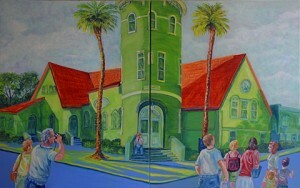 Mullet Beach Gallery, St. Augustine Dyptich, Acrylic, Dyptich Size 48″w x 30″ h, shown on flat surface to be hung in a corner, $1,000.00, plus pack/ship/handle. 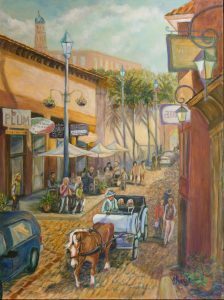 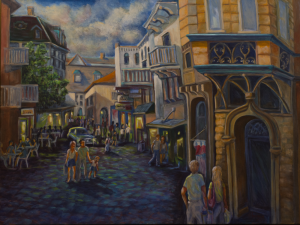 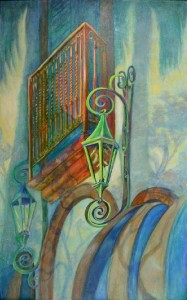 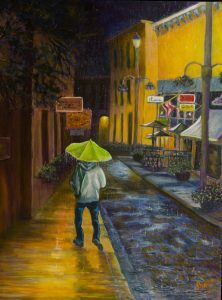 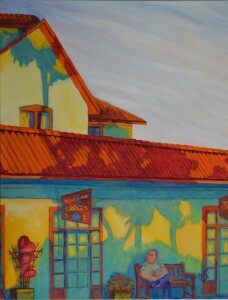 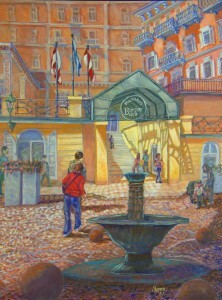 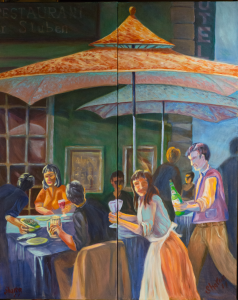 Lunch Time At Meehans Pub, St Augustine Acrylic, Size 24″w x 30″ h, LEFT SIDE CORNER ART with Want Lunch, $520.00, plus pack/ship/handle. 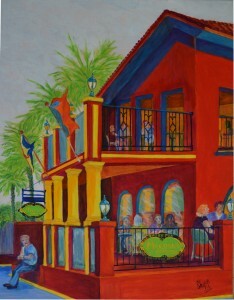 Want Lunch At Meehans, St Augustine. 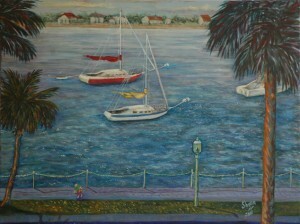 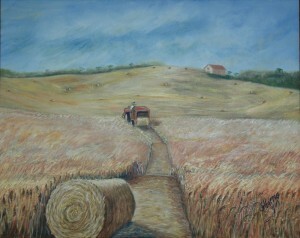 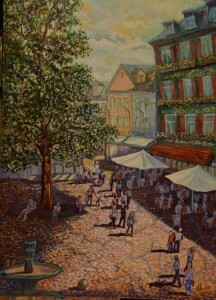 Acrylic, Size 24″w x 30″ h, RIGHT SIDE CORNER ART with Lunch Time, $620.00, plus pack/ship/handle. 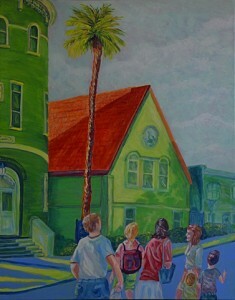 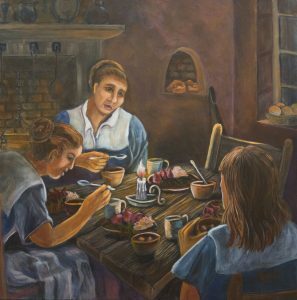 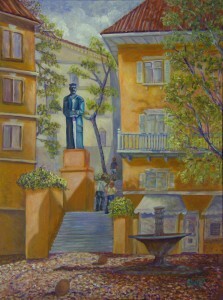 1st Baptist Church, St Augustine, Family Vacation, Acrylic, Size 24″w x 30″ h, RIGHT SIDE CORNER ART with Mom & Dad, $620.00, plus pack/ship/handle. 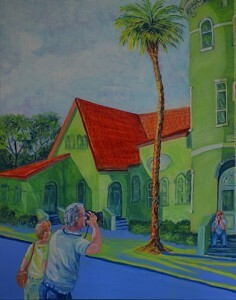 1st Baptist Church, St Augustine, Mom & Dad, Acrylic, Size 24″w x 30″ h, LEFT SIDE CORNER ART with Sight-Seers, $620.00, plus pack/ship/handle. 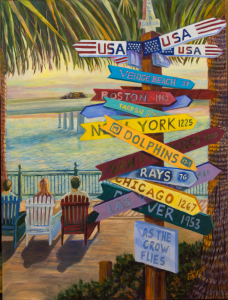 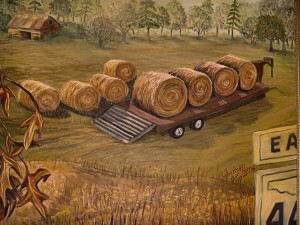 Vanishing Florida depicts an idealized view of a place that exists along Florida Hwy 44 between Crystal River and Inverness, Florida. 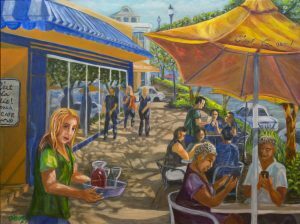 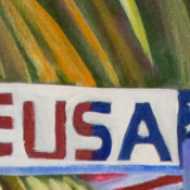 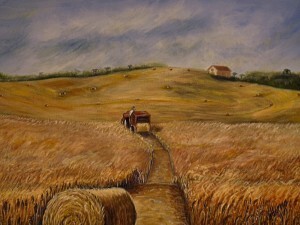 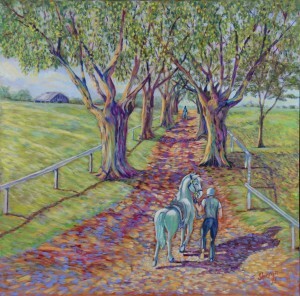 Acrylic and Pastels, Size 30″w x 24″ h. $520.00, plus pack/ship/handle Currently on exhibit at Cattle Dog Coffee House, Citrus Avenue, Crystal River, Fla.
Sharon Harris Art, Proudly powered by WordPress.